Yeah! 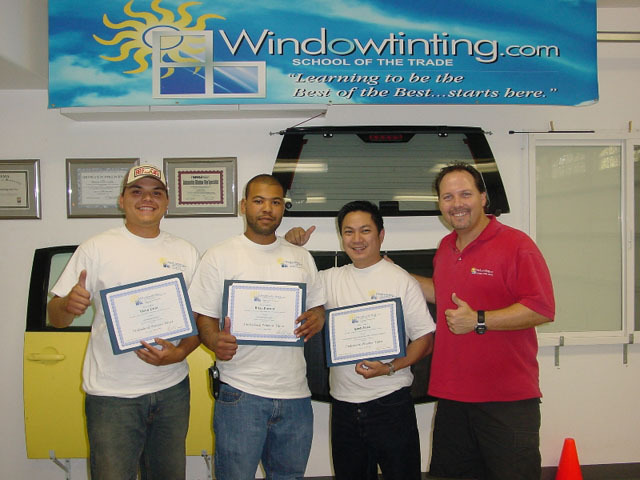 I know how to tint windows now! I got to say thank you Robert, you are the BEST. The experience was great and the teacher was very patient and understandable on being the teacher and not the worker. You could tell he wanted to teach instead of just doing it for the money or others. I give the class an A+.